Florida's Coast to Coast Connector project is a multi-million dollar effort to provide a continuous shared use trail across the state. When finished, people will be able to bike or walk a 250-mile connection of local trails from the Gulf of Mexico to the Atlantic Ocean while avoiding vehicular traffic. Spanning nine Florida counties, it will be one of the longest continuous bike paths in the country and one of very few long distance multi-use trails completely paved and separated from the road system. This “rails to trails” project will increase ecotourism and is expected to bring more than $120 million in economic impact annually to the state. The entire trail is being built in multiple phases over several years. B&N is leading the design of an eight-mile section of the Coast to Coast Connector located in Lake and Sumter counties, just west of Orlando. The South Lake Sumter Trail Phase IV project will ultimately connect two existing trails and include a pedestrian bridge, one tunnel, two grade-separated cattle crossings and a boardwalk over wetlands. B&N's scope of services includes overall project management, designing the trail, retaining walls, signs and pavement markings, stormwater management, trailhead design, leading the public involvement process, obtaining environmental permits, and coordinating right-of-way (ROW) acquisition. 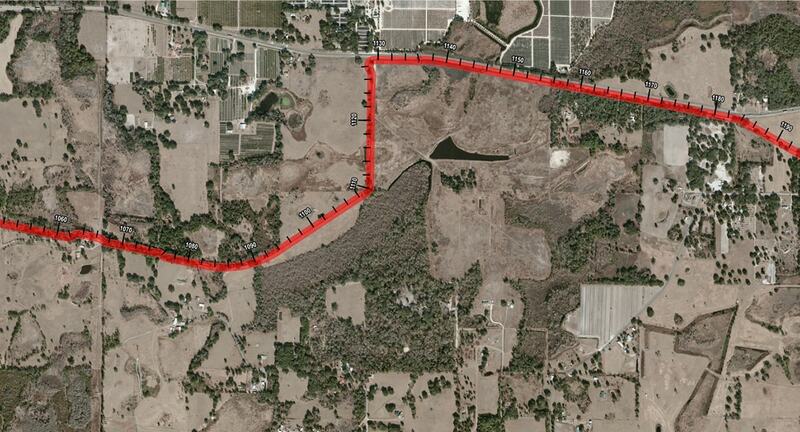 Most of the trail will follow an abandoned railroad corridor located in a rural setting. CSX sold or rented portions of the corridor to local property owners, making the ROW acquisition process more complicated. In some cases, residents have flattened raised areas of the historic railroad bed, constructed buildings in the area of the original rail alignment, or made other adjustments to the property. Also, in the Sumter County portion of the project, the trail falls within the Withlacoochee State Forest, an active hunting area, which caused additional complexities with ROW. Minimizing environmental impacts is an important factor in the trail design. The only habitat in the world for sand skinks, a type of lizard, is located within the project area. A sand skink survey was conducted to determine if the trail alignment should be shifted away from the habitat or an additional elevated boardwalk should be built. The final design minimized impacts to wetlands, floodplains, and other protected species, such as gopher tortoises and indigo snakes.